Prehistoric man knew how to communicate with images. Thankfully, his descendants didn’t forget; because where would we be without art, photography, movies, X-rays, animation, digital imaging, 3D printing, and Instagram. Okay, the last one was bit of a light-hearted addition, but even that shows you the pull of a picture. For more day to day mundane uses, we need free images for decorate a blog post, seek inspiration, set a wallpaper, make a collage, or just finish the school homework. This post thus takes a ‘back-to-basics’ approach and attempts to go over the same image searching ground as before, but in a more comprehensive manner. I hope to again show that searching for the right free image is easy enough, provided you know where to look. 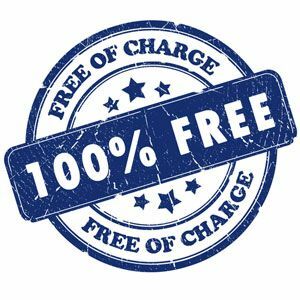 What Exactly Is A Free Image? When we talk about free images, there are three terms which you will encounter in your search. Royalty free images: These images are not free. You have to purchase these images for a fee, but beyond that you can continue to use the image as long as you want. But this is a non-exclusive right as others may also purchase the same image for use. Public Domain images: Images which are not covered by any copyright and are available free of charge are called public domain images. Images whose copyright have expired also fall under the public domain. 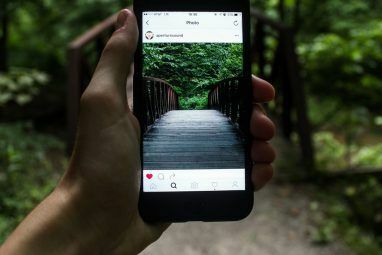 To put it this way, any image which is freely available may not be a public domain image; but a public domain image is freely available for use without permission. Creative Commons: Creative Commons images (or the licenses) should not be confused with public domain and free-to-use images. Creative Commons is a set of free licenses which cover fair use and allow creators to reserve some rights for themselves while freeing up the work for the benefit of the public. Learn more about Creative Commons on the CC website. Our search for free images shall cover the last two types – public domain images and images licensed with CC. The Advanced Search is your quick bet because it is familiar and allows you to filter your search by license. You can search for only images that can be reused (free to use). These images include Creative Commons, or public domain images. But still check the copyright status of each work before you download. But you would be wrong in thinking that Google Image Search is a bully. Because it’s not and you can also call on 5 Good Image Search Engines Apart From Google Image Search 5 Good Image Search Engines Apart From Google Image Search 5 Good Image Search Engines Apart From Google Image Search Read More . Tina went after the usual suspects when she covered Flickr, Wikimedia Commons, and Stock.XCHNG with three others to make it 6 Free Websites For Public Domain Images & Free Stock Photos 6 Free Websites for Public Domain Images and Free Stock Photos 6 Free Websites for Public Domain Images and Free Stock Photos Public Domain refers to material that is 'publicly available' and not covered by intellectual property or copyrights. In today's media, where visual art is abundant, there is a high demand for images, for example for... Read More . Supplement that reading with this – Top 5 Free Websites for Quality Copyright Free Photographs Top 10 Free Websites for Quality Copyright Free Photographs Top 10 Free Websites for Quality Copyright Free Photographs We've compiled a list of the best stock photography websites to ensure you have access to millions of free stock images instantly. 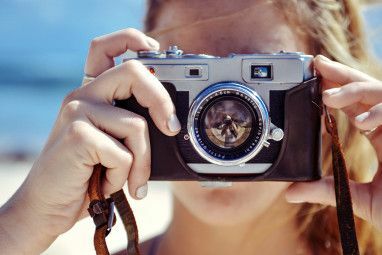 Read More and the more recent The Five Best Places To Find Free Creative Commons Photos The Five Best Places To Find Free Creative Commons Photos The Five Best Places To Find Free Creative Commons Photos Looking to add some images to your blog post? Obviously, I sympathize. 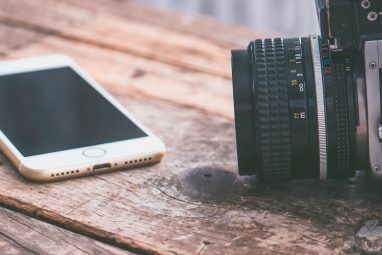 All of the writers at MakeUseOf are on the prowl for ways to add some visual flair to our articles, but we also... Read More and you have a good resource bank to build upon. The search and advanced search takes you to your specific photo. Check out the Hot List for popular free photos. Photos are rated. As a user you have non-exclusive, non-transferable license to images. MorgueFile is a free high resolution digital stock photography resource that lists images contributed by many different photographers and artists. According to the blog, the site will undergo a major redesign this October. You can filter photographs for download using options like color, creative, and geotag. The site also has a portfolio section for budding photographers. EveryStockPhoto is a search engine for free stock photos. The search engine covers most of the popular image stock sites like Flickr, SXC, NASA, and a few more. You can quickly view the image’s license and other details like the source site and photographer on the right. The site has a large and growing collection of public domain photos which are free to use without due credit of any kind. No, you do not need to credit the site as a source also. The site is neatly organized into categories and tags, with the number of photos in each category indicated. Most photos can be downloaded in multiple sizes. If you have a particular liking for Flickr, do stop by to read How To Search & Credit Properly-Licensed Photos On Flickr How To Search & Credit Properly-Licensed Photos On Flickr [Firefox] How To Search & Credit Properly-Licensed Photos On Flickr [Firefox] Read More for a handy Firefox related tip. Also, check out all our articles that talk about Flickr like The Top 5 Best Search Engines To Search Photos On Flickr The Top 5 Best Search Engines To Search Photos On Flickr The Top 5 Best Search Engines To Search Photos On Flickr Read More . I searched for computer images and I got 1085 hits. Pixabay searched for both photos and clipart from other public domain websites. The image information tells you about the source, the type of license, and the important EXIF information. You can also view photos by the camera used. Best Photos uses Google Custom Search to scour the web for free photos. The results may not be that pretty (it’s a straightforward Google search), but it is very effective. You have to click through to the source site and download the image from there. Sprixi sources shareable images from Flickr and OpenClipArt. This collection takes you back to the history of The United States (going back to 1862), especially the Civil War. Nearly all of the 5000+ images are free to use with a few exceptions. The image pages are very well organized in chronological order and cover most of America’s early history. On the Internet Archive, you can go back in time to at least 1999 and browse through archived versions of Web sites. The Internet Archive Wayback Machine contains almost 2 petabytes of data and is even larger than all the matter in The Library of Congress. On the Internet Archive, you can type in a keyword and then filter the results by media type (image) to get access to millions of archives images which are licensed under Creative Commons. Check the specific license as they also have CC – Non-Commercial attributions. Clipart History is a free high-quality public-domain clipart collection covering all ages of the Worlds History from pre-historic to now. You can browse the sections which cover the span of the pre-historic to the modern. Most images are black & white, but it is undeniably a good resource for school projects and other assignments. A huge collection of 500,000+ images culled from various government sources are available on this searchable site. The site itself is plain Jane with just a search bar and filters for image types. You can search for images related to astronomy, painting, and microscopy too. All images are free to use and you do not even need to attribute them. This is the national portal to all other governmental sites. You can search for images by topic. The site has this to say – Some of these photos and images are in the public domain and may be used and reproduced without permission or fee. However, some photos and images may be protected by license. You should read the disclaimers on each site before use. Also check out the governmental photostream on Flickr. School assignments and projects need pictures. Take your learning a notch up or two with pictures that are primarily for education. Pics4Learning has animals, architecture, geography, science, tools, and natural disasters. You can find images through browsing categorically or by searching for specific keywords. The images on the site have been donated by students, teachers, and amateur photographers. PhotoRogue is a different king of photo and image website as it takes requests. Volunteer photographers go to work on your request and their service is free. As the site says – You can request ANYTHING, and we’ll try to make it happen. Typically we’ll return between two and ten pictures. 2D and 3D CAD diagrams and images? I would agree. Try out Cadyu which is a collaborative library of 2D and 3D models. All are in public domain and Creative Commons licensed. It could be a one-stop resource for you if you are a designer. Yes, the very same Pinterest. It gives you a roundabout way to search for free images. Log-into Pinterest – use the search box to type in “public domain” and view the results. Click on the specific image and then click on the source to view the license and verify if it’s truly public domain or at lease Creative Commons. The 17 image search resources represented here are like a few good men. Some have already been covered by our previous articles on image search and the links I have included in this post. Then some more lie undiscovered. Maybe, you will pull the curtain of anonymity and bring them into the limelight? Which is your favorite way to get to free images online? More importantly, why and where do you use the free image? Explore more about: Image Search, Photography, Web Search. Hi, Maybe one more source for your great list. I search Photos always on http://creativecommons.photos they have many high quality public domain images. Limited selection from what I could see. But I hope it grows. Thanks for the link. Thank you for the information, it has been quite helpful. This article was worth reading. Thanks for the information. http://pixabay.com is the best. I browsed it and found very nice. Great post. Finding images to freely use with blog posts, especially historical ones, is always a challenge. Hate to make a mistake and get sued, like some authors have been. I prefer Google images and use free images for my needs such as finding a good wallpaper for various devices. Google Images is not really accurate, when it comes to truly free or Creative Commons images. You just have to dig deep and verify the license for yourself sometimes. We have covered them before, so didn't include them this time around. Thanks for the informative post. I enjoyed reading.